Ilse von Stach was born in Hoxfeld, near Borken, East Frisia as the daughter of the landowner, Baron von Goltzheim. After the early death of her mother, however, she was brought up by relatives in nearby Aurich and later received an education in the convent school at Altenburg. She published her first poetry volume at the age of nineteen and then studied in Berlin in order to become a teacher. Her first marriage ended in divorce but, in 1902, she married the polar explorer, Theodor Lerner, to whom she bore two sons but that marriage also failed and, in 1905, she moved to Rome where she converted to Catholicism. She married the art critic Martin Wackernagel in 1912 to whom she bore two sons and a daughter and settled in Leipzig before moving to her final residence in Münster in 1921. 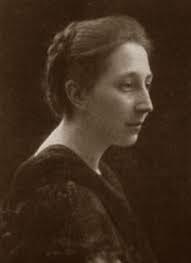 She wrote plays, novels and poetry including, in 1906, The Christmas Elf which was set to music by Hans Pfitzner. The Ilse-von-Stach-Strasse in Borken commemorates her memory.